Spending two weekends dancing with three of my cohort – all over 40 – I reflect back on my experiences as an “older” dancer who feels that dancing is more readily available than ever. My new project (Re)Make, a dance film, began at an important moment in my career trajectory. I had been speaking to a dozen or so women in the London dance community about their experiences, needs and wants as mid-career dance artists. Many, like myself, desired to continue dancing but felt there was a lack of opportunity and appropriate work for seasoned dancers. Although there are many opportunities for young people and those over 65, there seems to be a lack of platforms of visibility for female (and male) dancers between the ages of 40-65. In Dancing Age(ing) (2017) Susanne Martin claims that dance can be a place for critically engaging with age. 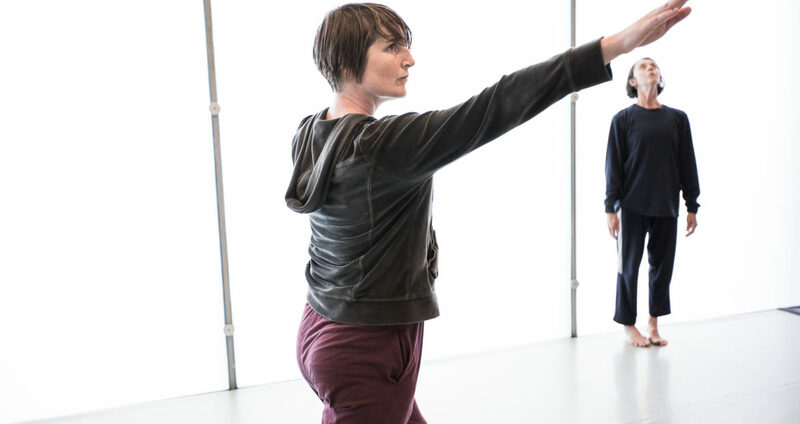 She argues that improvisation practice is more welcoming for older dancers as it does not subscribe to the same expectations on execution and engages in a practice in-the-moment-of-its-happening. Interestingly, in my recent project (Re)Make I found myself enjoying the craft of creating movement, of setting movement and repeating it again and again. Something was very satisfying for me in attempting to repeat the movements both in time with my fellow dance artists and to music. In this dancing I was also questioning the idea of “contemporary”. I have written more in detail on this is my former blog post and, for the sake of this post, aim to discuss the possibilities of choreography as a site for engaging ideas of age and the female body in dance. In creating (Re)Make and my work with experienced dancers I would have to align myself with the third mode: those who recognise and make visible the tension between general ideas about age and the interest to move beyond that. That tension, Martin suggests, is “unresolvable”. I am not sure I subscribe to such a dead end as I am interested – by making work that complicates the assumptions of older dancers – in ways the work might challenge the viewer of dance. I do this by juxtaposing elements such as costume, setting, music and choreographed sequences. For example, in (Re)Make there were long shots in which the dancers were seen engaging quite complex movement sequences borrowed from iconic works and that were playful and exuberant. In a way, they appeared childlike. Upon seeing the dancers closer up, the audience is confronted, after some time, with the fact that these dancers are mature and, therefore, the viewer is left to grapple with their assumptions of a dancing body and age. I suppose (as this is still early in the works development) I am interested in saying, despite our age, we dance. And by dancing we are both young and old(er).